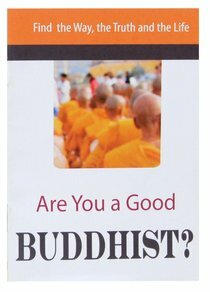 Are You a Good Buddhist? Steve Cioccolanti, BA, M.Ed., is a Christian author (new release "The Divine Code from 1 to 2020: Numbers, Their Meanings and Patterns," bestseller "From Buddha to Jesus: An Insider's View of Buddhism and Christianity"), a prolific teacher of God's Word and pastor of an international church in Melbourne, Australia. His program airs on cable TV to 4 million viewers each week throughout Indonesia. Born in Thailand to a family of Buddhists, Catholics, Methodists, and Muslims, Steve has a unique perspective on evangelism, missions, and world religions. Having traveled to more than 35 countries as a Christian speaker, he has ministered in local churches, leadership seminars, missionary conferences, Bible schools and on TV and radio.